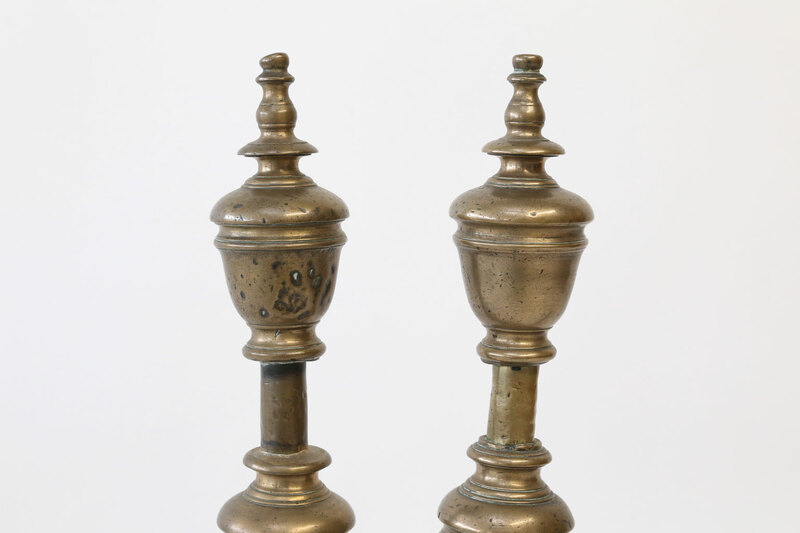 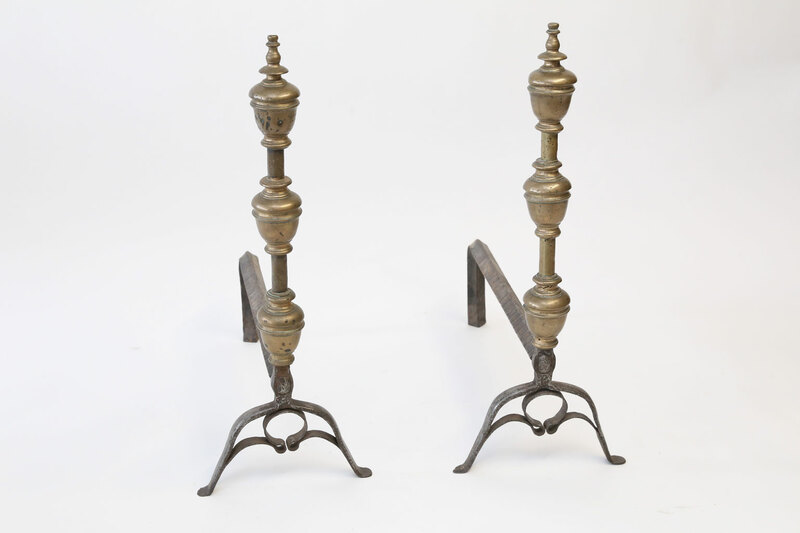 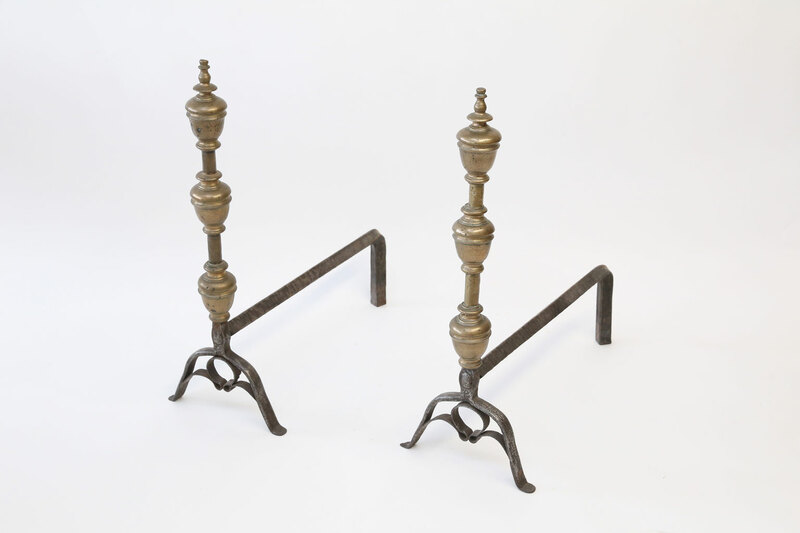 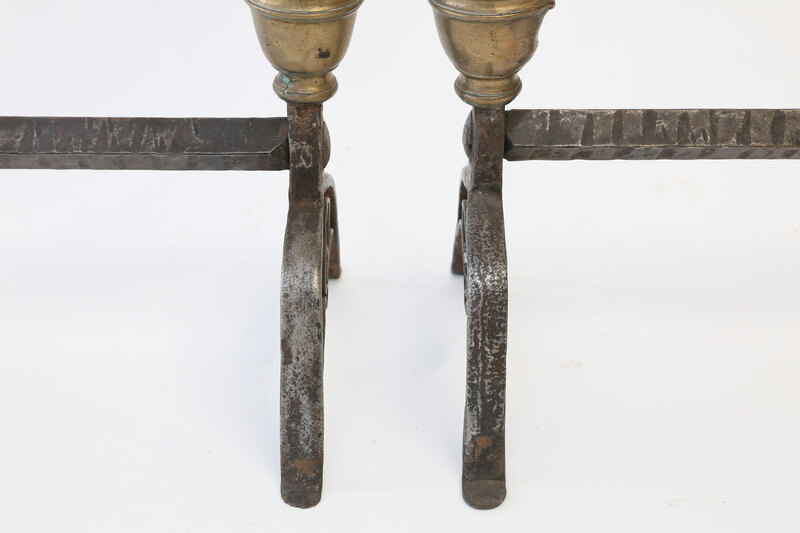 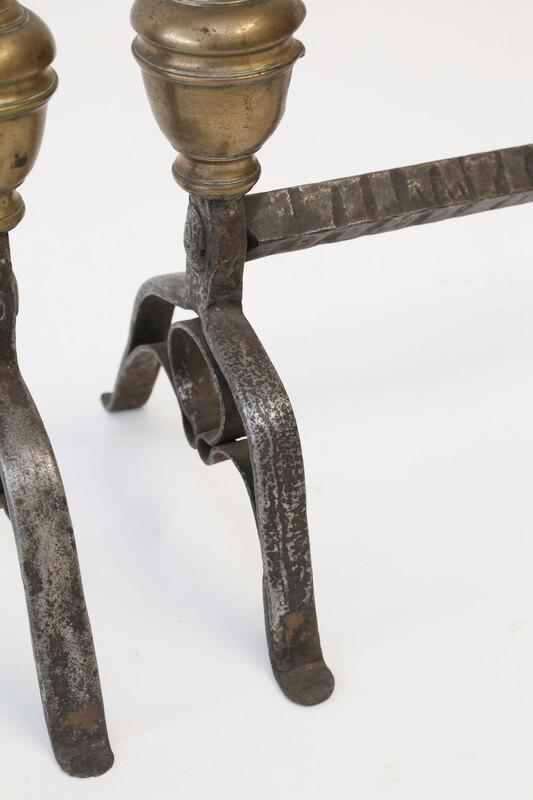 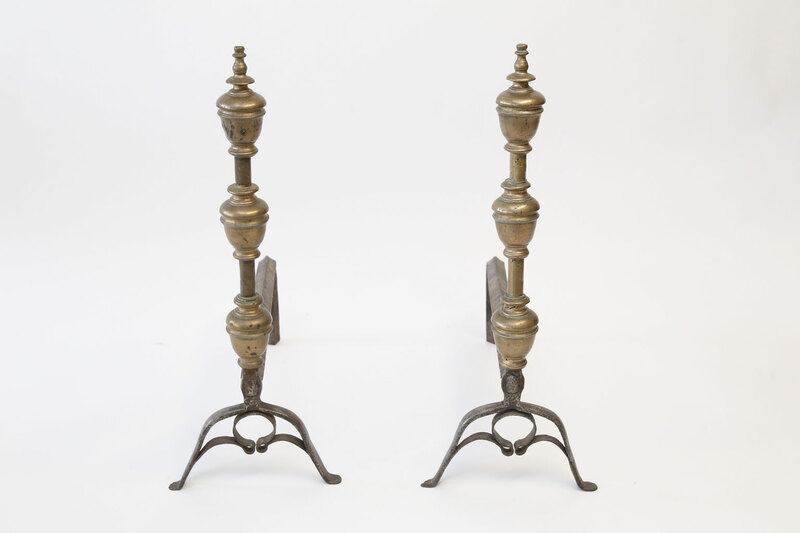 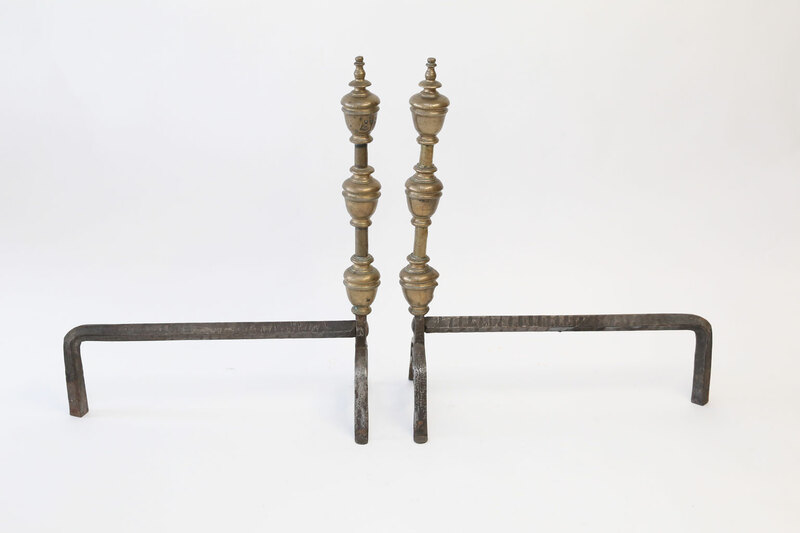 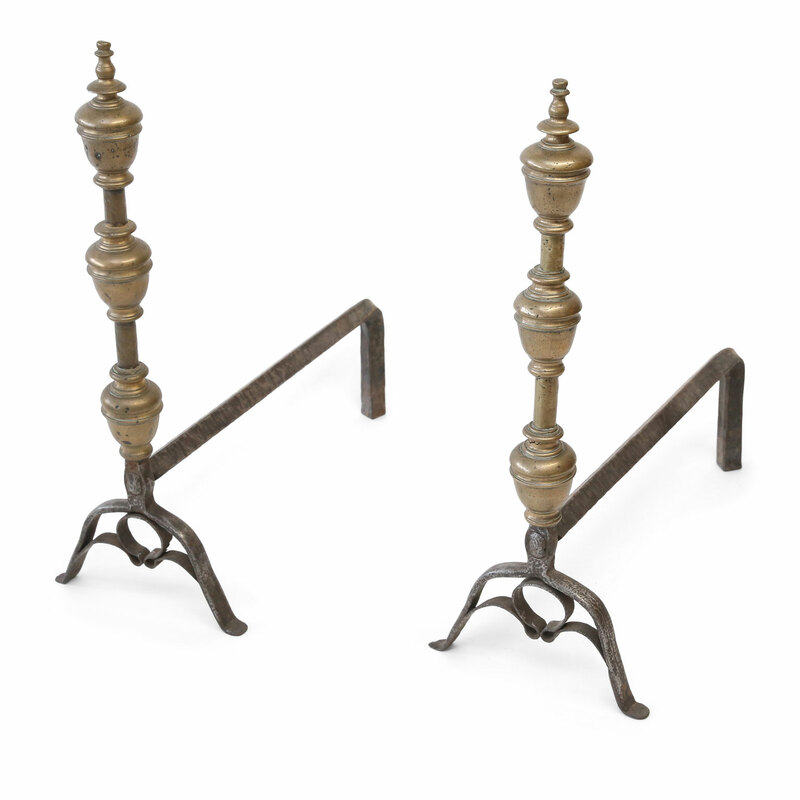 Pair of French andirons in bronze and hand-forged iron dating to the late 18th century. 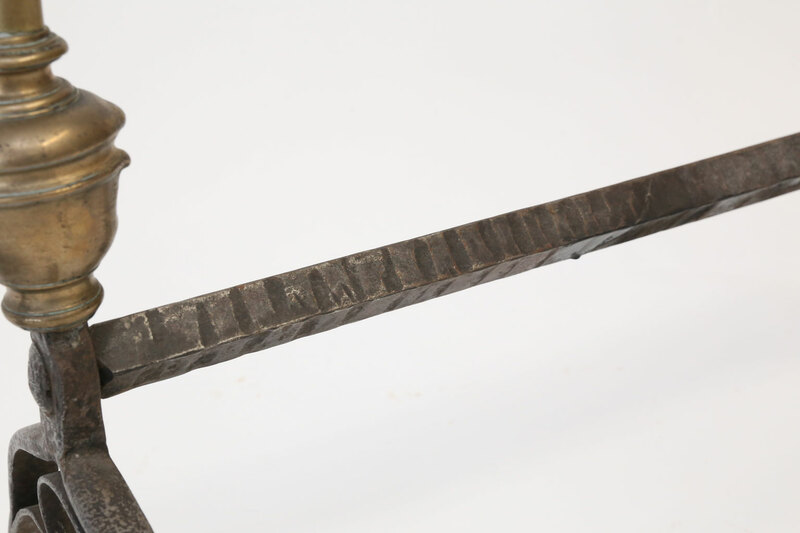 Condition: GoodWear consistent with age and use. 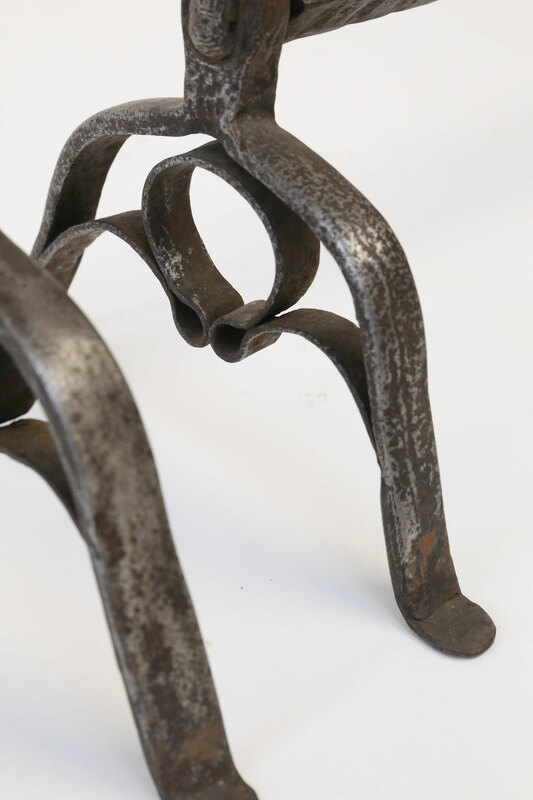 Nice, worn patina. 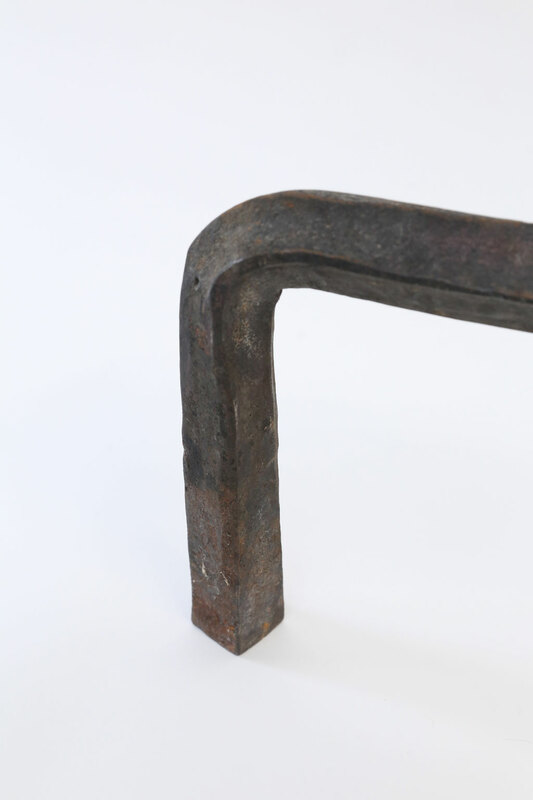 Materials: Cast bronze and forged iron.